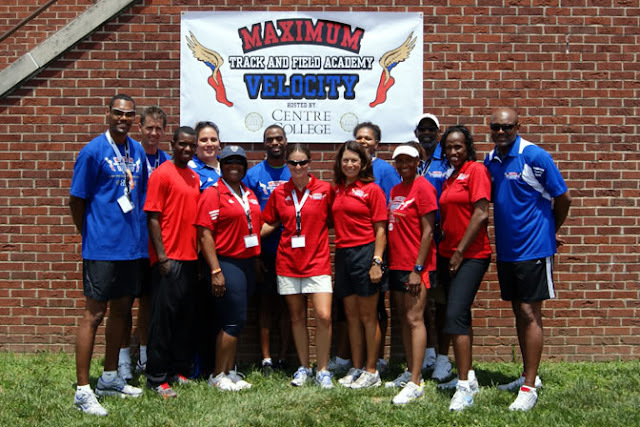 Maximum Velocity Track and Field Academy: Camp Is Almost Here! The 2012 Maximum Velocity Track and Field Academy is now only 5 days away. If you have already registered, we look forward to seeing you on Wednesday, June 13th. We have some of the best track and field athletes in the world ready to instruct you. If you haven't registered, it's not too late! You can register online and pay with a credit card through Tuesday, June 12th. We will also accept walk up registrations on Wednesday, June 13th from 4:00 - 5:00pm. Please note that if you plan to register on the 13th, we will only be able to accept cash or money orders as payment. We will not be able to accept personal checks, or process credit card payments for walk ups.